I do a lot of crafting FOR my kids. 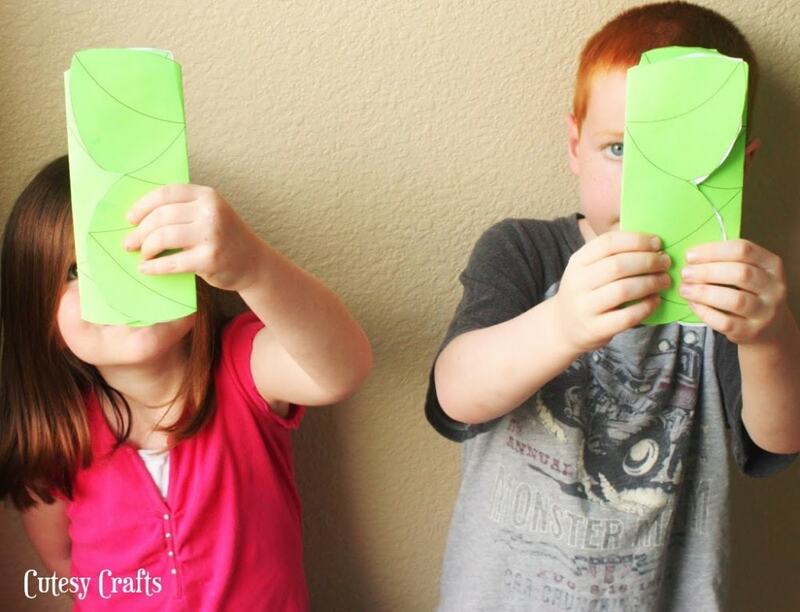 In an effort to spend more time crafting WITH my kids, I’m starting a little segment that I’ll call Kiddie Crafts. 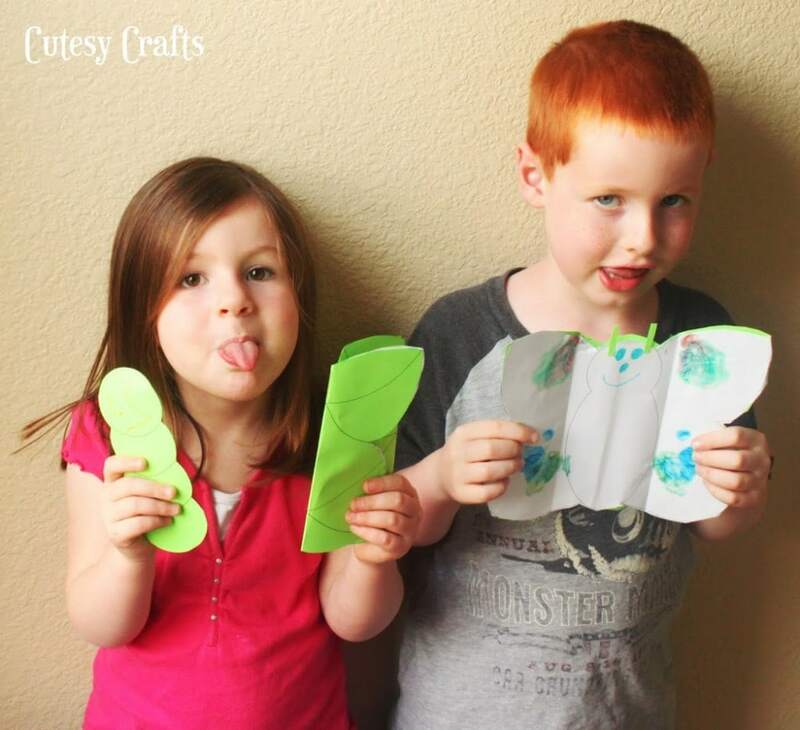 Today we’re gonna get started with a butterfly craft for the kids. I love this craft so much! When you are done, the kids are left with a little caterpillar that goes into its chrysalis and magically transforms into a butterfly. (Really, there’s a secret pocket that it goes into.) The kids loved it and thought it was magic at first! When I saw that this Butterfly Garden from Insect Lore was on sale on Amazon a couple weeks ago, I couldn’t pass it up! We did the ladybug one last year, and the kids LOVED it!!! So much fun, and definitely worth the money! These little critters showed up in the mail yesterday… so gross… but oh so cool! 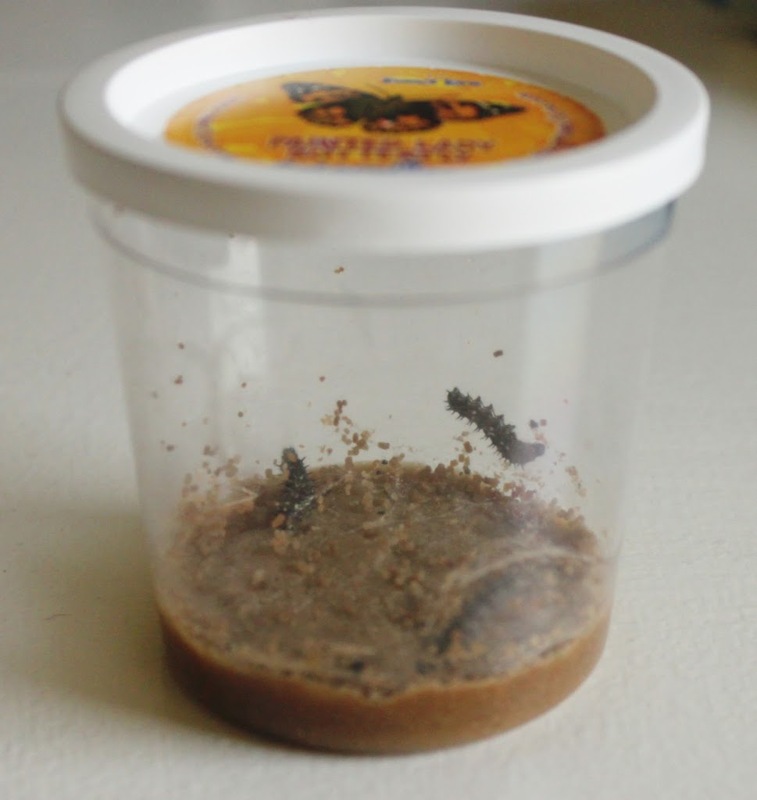 Once they form their chrysalises, you move them to the netted cage and wait for them to emerge. The kids are so excited! 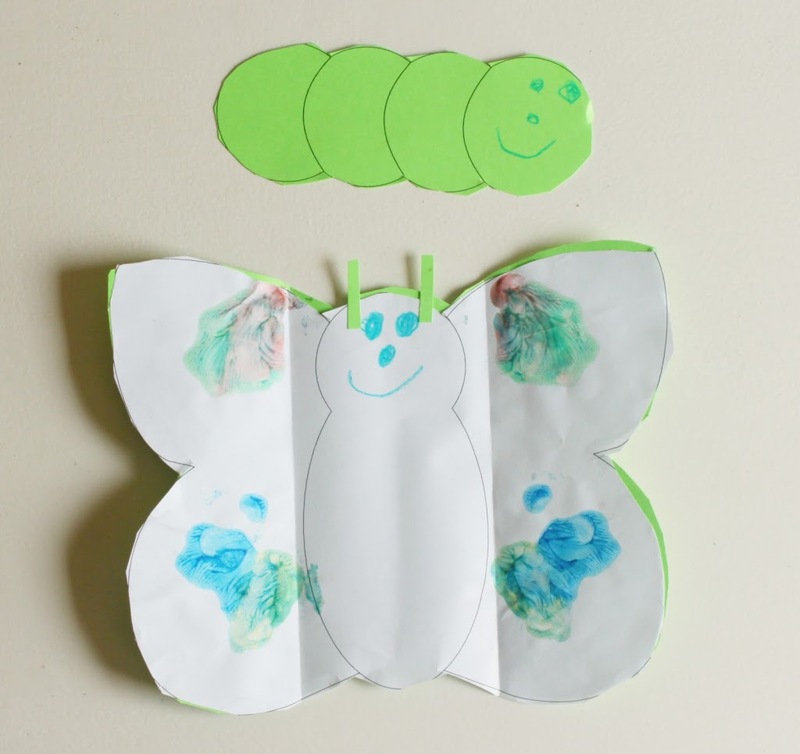 The kids learned more about how these gross little caterpillars will turn into beautiful butterflies by doing our butterfly craft. You can find free printables here. You can print it out on colored paper and then let the kids decorate it as they please. Instructions for assembly are listed on the printable. They had a lot of fun playing with their butterflies/caterpillars, and I think it really helped them understand what is going to happen with their little bugs. Seriously… this is what my kids do when I try to take a picture! Lovely post! Thanks so much for sharing! Would love to have you visit me sometime. Visiting from Do Small Things With Love blog party. Oh, how fun!! I love the crafts to go with actual metamorphosis. Thank you for sharing at Sharing Saturday! I made a version of this with my 4 year old niece today – she loved it! We used sheet foam for the caterpillar body and had a giant button that was a bee’s head – but it doubled well as a caterpillar’s head instead. The rest was all paper which she decorated with bits and pieces from her craft box. Required minimum supervision from me, which was great. Fun! What a great idea to use foam. Thanks for sharing! This craft is the cutest thing I have ever seen! I am having my preschoolers do this next week. Thanks for sharing the template! 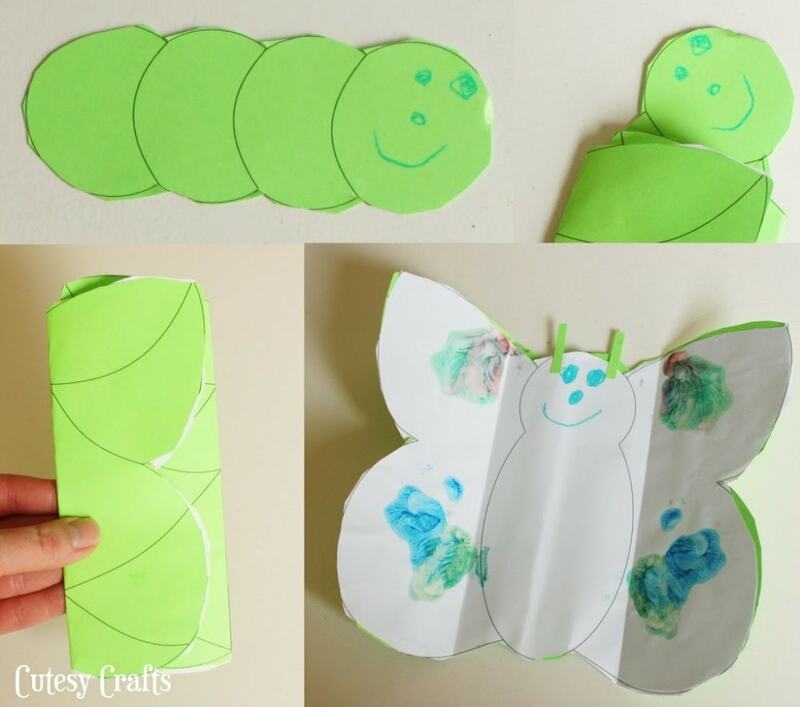 I’ve done lots of different butterfly life cycle activities, but this is super creative and unique! I can’t wait to have them make it. Thanks Nathalie! So glad you like it. My kids loved them! 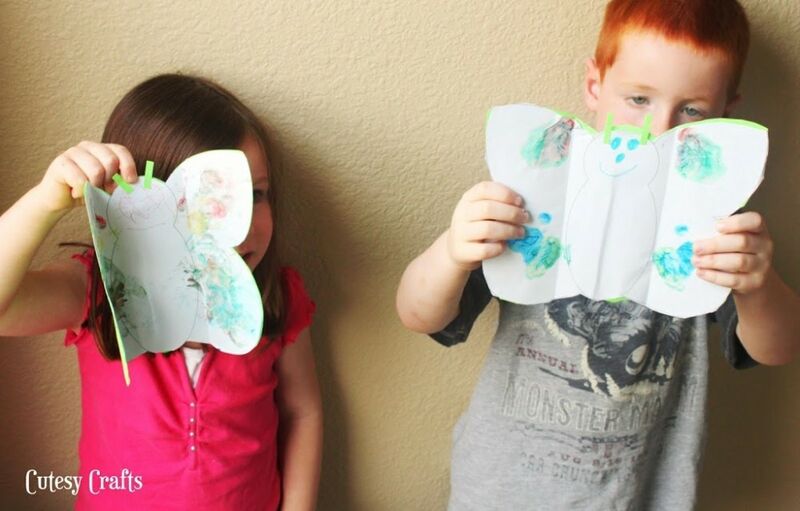 We just finished a week of vacation bible school and did the caterpillar into butterfly as a craft project. The children ages 3 to 11 just loved it and at closing ceremonies Friday night almost every parent commented on that craft. Thanks so much. Yay! That makes me so happy to hear! So glad they loved it.